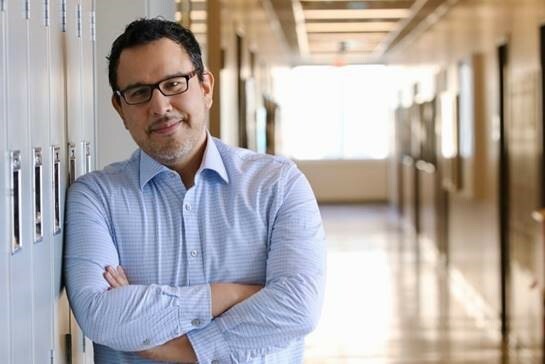 Dr. Jose Herrera has been awarded the highest Teaching Excellence Award at Western, the EDWARD G. PLEVA AWARD for excellence in teaching. Award recipients receive a medal and commemorative scroll which will be presented at the Spring Convocation. In addition, award recipients’ names are inscribed on a plaque that will be displayed in a prominent location in the University. He is the 5th recipient from the Faculty of Engineering in the last 23 years. Earlier winners are Dr. Quazi Rehman (2016-17), Dr. Kibret Mequanint (2014-15), Dr. Anthony Straatman (2006-07) and Michael Bartlett (1999-00). Please join us in congratulating Dr. Herrera for winning the most prestigious teaching award at Western. 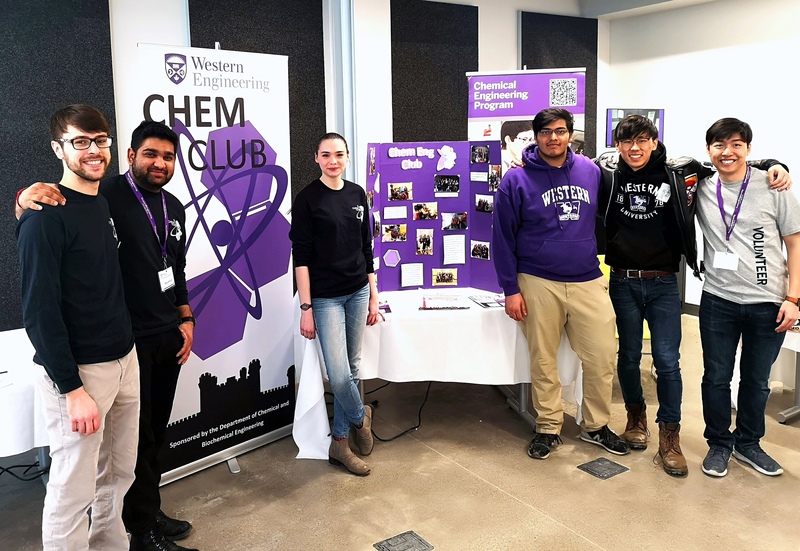 CBE Chem Club participates in Western's March Break Open House! Congratulations Dr. Franco Berruti! The Chemical and Biochemical Engineering Department is pleased to announce that NSERC has approved NSERC Industrial Research Chair in “Thermochemical Conversion of Biomass and Waste to Bio-industrial Resources” with Dr. Franco Berruti as Senior Chairholder for 5 years effective July 1, 2018. Congratulations Dr. Cedric Briens! The Chemical and Biochemical Engineering Department is pleased to announce that NSERC has approved NSERC/Syncrude Industrial Research Chair in “Fluid Coking Technologies” with Dr. Cedric Briens as Senior Chairholder for another 5 years effective January 1, 2019. A list of outlines for the current and upcoming terms. Information on the where and when of current and upcoming graduate courses in CBE. Now updated for the Winter 2017 term! Our frequently asked questions section for Graduate applicants to our MEng, MESc and PhD programs. An overview of important dates and deadlines for full and part-time graduate students. 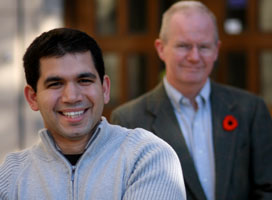 Find out who the CBE faculty are and how you can contact them. Our department has a strong research component with 28 faculty members conducting innovative, world-class research in various areas.